Google has a new Spotify rival and a new Netflix rival: YouTube Music and YouTube Premium. But hang on a moment, it already has Spotify and Netflix rivals: Play Music and YouTube Red (although the latter not in the UK, we grant you). Considering it's one of the biggest companies in the world, and so omnipresent that its name is also a verb, Google does make some confusing business moves. If Google Play Music is a music audio service, logically the new YouTube Music Premium must be a subscription-based music video service, right? Well, no. In fact, the service, which will cost $10 a month in the US when it launches next Tuesday in America, Korea, Mexico, Australia and New Zealand is almost entirely audio based. Adding to the confusion, Google Play Music All Access subscribers will get a free sub to YouTube Music so they can what, compare the two? Adding even further to that confusion, Google is also launching Google Premium, which is $2 more, includes YouTube Music Premium, ad-free access to YouTube and lashings of original content. The services will roll out in the UK later this year or early next, where you should anticipate pricing of £10 per month and £12 per month. When that happens, Google Play Music will surely be folded into YouTube Music after a fairly short period of overlap as the services will be functionally identical and cost the same, right? Maybe not. Google still maintains both Gmail and Google Inbox, and Google Maps and Waze, so perhaps these two near-identical music services will exist side by side. Perhaps that's why, writing on the YouTube blog, Google says "if you use Google Play Music, nothing will change - you’ll still be able to access all of your purchased music, uploads and playlists in Google Play Music just like always." This would provide Google with a very easy A/B comparison to see which service is more popular; if Play Music users immediately flee to YouTube Music, it must be bye-bye Play. Mustn't it? It's all so confusing. Is this likely to have Spotify and Apple Music shivering with fear and reaching for their laurels? No. YouTube Music promises to offer context-, preference- and mood-sensitive playlists and recommendations, with pumpin' workout tracks for the gym and Google Assistant/Google Home-style smart search by lyrics, mood, genre and so on. For confirmed Google and YouTube lovers, this will be a great service, no doubt, but why would anyone move away from Spotify, Apple, Amazon Music Unlimited, Tidal (etc, etc, etc) to use it? 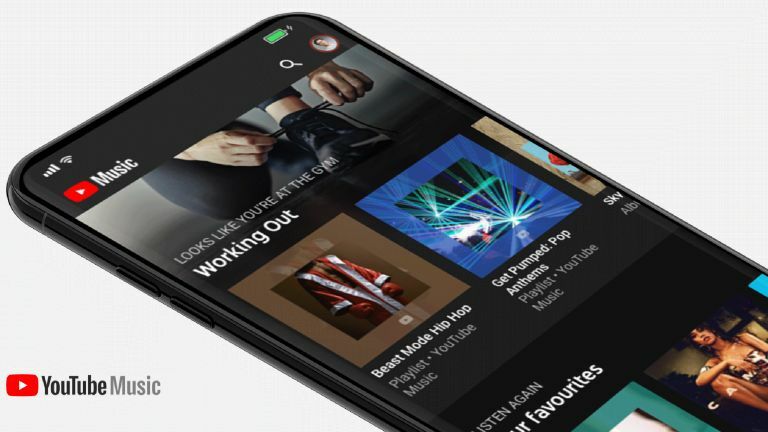 YouTube Music will also come in an ad-supported, free version, which does have one advantage over the free version of Spotify: unlimited skips. However, as the free version of YouTube Music will only work with the app open, its mobile uses still seem fatally limited. Perhaps Google is hoping the killer app here is Google Premium. This will be £12 (presumably), when and if it launches in the UK and include YouTube Music Premium, removal of all ads from YouTube and access to exclusive, YouTube-original content. This is the latest incarnation of YouTube Red, which never made it to the UK and indeed now, never will. Content includes sequel series to the Karate Kid and Step Up, stabs at currently in vogue meta comedies, with the likes of Ryan Hansen Solves Crimes On Television. I am not going to lie: it doesn't all look all that compelling. Tapping into YouTube's vastly lucrative Creator universe there's also the possibility of exclusive content from influencers. This could be great news for those who just can't get enough of Pewdiepie's edgy memes, queasy, 1970s cable TV production values, and beard. Again, this doesn't seem like an announcement to have Netflix worried, but Google always seems up for playing a long game.